Those moving to Berlin will be greeted with summer festivities, rich culture and hearty food delights. Since the city’s reunification after the Cold War some 25 years ago, Berlin has been trying hard to catch up with the rest of the world's economies. Today, it has a thriving expat community and there are many hoping to get a space in the competitive job market. Many artists and young people moved to Berlin, which is the reason for the city’s unique, edgy vibe. Berlin hosts an electrifying nightlife scene and wonderful art collections but best of all, the cost of living is manageable. In fact, the local nightlife is another enticing factor that makes it easy to fall in love with Berlin. Though it may not have the beauty of other cities like Paris, Berlin has a different charm. There are countless cafes, discreet bars, museums, galleries, the Berlin Wall, tiny stalls with delicious food, Bars and restaurants line the sides of the Spree River and Landwehr Canal – Berlin will show you everything. Lovely cafés and green parks attract both the young and old, and the evenings are calm and cool. When thinking of moving to the country’s capital, keep in mind that like any other city, among the 3.5 million people in Berlin, 470,000 come from other countries in the world. Though there may be some native Berliners leaving the city looking for greener pastures, the flow of immigrants or expats entering Berlin is not coming to an end. The city also has a wide variety of ethnic groups, religions, support groups, community centres, organisations, etc. which only adds to the charm of Berlin. Give the city a chance and you will see that it’s wonderful, crazy, and consistently surprising; you may end up staying for good. Moving to Berlin may seem frightening, but there are a lot of activities to choose from and participate in that can help keep your mind off of the things that remind you of home. The beauty that the city holds is it allows you to escape the harsh realities of adulthood, here you are free to express yourself whether as an “interior designer," spending your entire day surfing the internet or watching your favorite shows on the television, because, for the most part, you are not expected to do anything at all. Its economy may not be as powerful as other major cities in Germany but employment opportunities are open in the service, tourism and hospitality industries. You can also look forward to living amidst the country’s centre of music, arts and rich history. 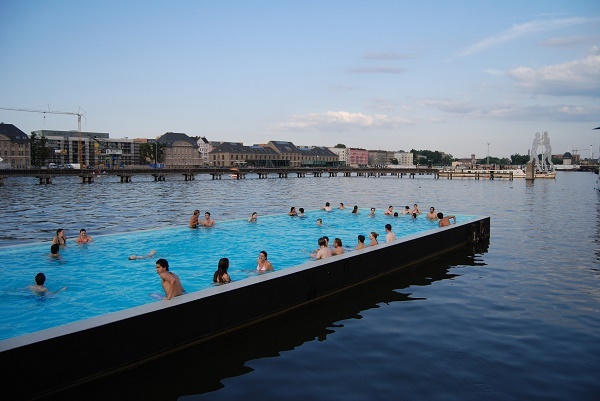 Berlin offers you the chance to live a good quality of life without having to spend too much. 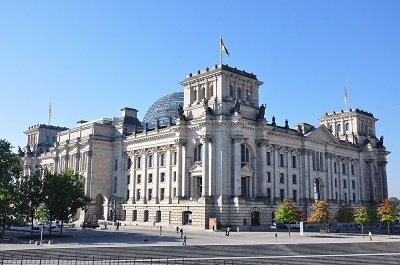 If there is any damage caused by the Cold War, you will not see any visible pieces of evidence in Berlin because this city has managed to rise beautifully and gracefully; making it one of the most popular expat destinations in continental Europe nowadays. So if you’re all set to move in this city, here are a few but useful tips for you. Finding a home to live in is one of the first things that you need to arrange when moving abroad. 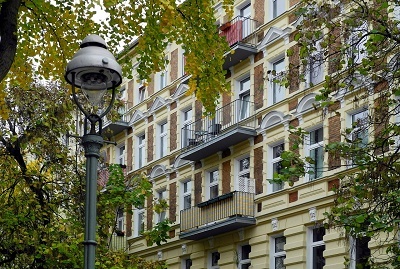 You can do a research about Berlin’s housing market even before you arrive by browsing through online portals where you can get an idea of the properties’ locations and range of the rental prices. If you do not speak German, it's best that you hire local real estate agencies (Mitwohnagentur) once you arrive in Berlin. A realtor is more familiar with the neighbourhoods and can help you communicate with the landlords. Unless stated explicitly in your contract, always expect that utilities are not included in your rental pay. The average monthly cost of your necessities like water, gas and electricity is €250. You can also apply for internet connection which is around €25 per month and make local mobile calls at €0.10 per minute. When it comes to importing your belongings abroad, it's best that you seek help from experienced international shipping and removal companies. They are offering door to door service which is less hassle for you because they will be the one to facilitate the whole moving process until your packages are safely delivered to your new address. The average transit time by sea is 6-11 days which will still vary depending on your country of origin. Berlin is a landlocked city so all containers are delivered first to the Port of Hamburg where local customs officials will conduct an inspection of the cargos. For more info about the city’s import regulations, click here. Your pet needs to be microchipped as a form of identification and should have the original Rabies Vaccination Certificate upon its entry to Berlin. You also need to secure the EU Health Certificate and International Health Certificate of your pet ten days before import. What you can expect to see in Berlin are not the remnants of what the two world’s largest wars left but the undeniable beauty of its land, resilient heart of its locals and the city’s continues fight towards progress. Berlin is a city, vibrant and full of art; this, however, is not the only aspect that can make an expat desire to relocate to Berlin. As a centre, it was hailed as a global city, an important node in the global economic system. Berlin is not just famous for its rich history but also because of its lively music and arts scene. Expats moving here can expect a cheaper cost of living compared to other famous destinations such as London and Paris. It is also considered to be a perfect place for foreign nationals who want to seek employment abroad and save as much money because of the low rental costs and price in the market. Aside from the basics such as housing and necessities, here are some of the things that you need to know once you’ve decided to relocate to Germany’s vibrant capital. Even if most people in Berlin speak English, it's still best to take a crash course or learn some basic German, because most store owners, people in the market and landlords prefer to use their official language. Also, it is more proper to address a local using the formal translation of ‘you’ which is Sie instead of the informal term Du unless they tell you that it's okay to use the latter. At a social gathering, remember to say, Prost! (cheers) before taking a gulp of your beer. People in Berlin are very particular with time, so it is best that you avoid being late for work or an appointment and always shake hands when introduced to someone. Germans are also fond of sensible conversation especially when it is about philosophy or politics. Avoid brief chats or small talks because they will find it dull and boring. If you'd like to taste the local cuisine, you can go to Altes Europa which serves budget-friendly authentic German dishes such as Knödel (baked dumplings with mushroom) and Tafelspitz (boiled beef with potatoes). You will also find a whole strip of international restaurants, cafés, shopping malls and supermarkets in the city centre where you can get almost everything that you need. There is also the much visited Markthalle market where you can buy fresh vegetables, locally sourced meats and European delicacies. Markthalle is also famous for its Street Food that opens every Thursdays between 5pm to 10pm. Berlin is the nation’s cultural centre that’s why there are many museums and galleries displaying its resilience that made it stood strong in the face of the world’s two largest wars. Some of the attractions that mirror Berlin’s tragic yet inspiring history are the Checkpoint Charlie and the Jewish Museum. There is also the famous Eastside Gallery which showcases the graffiti of 118 artists painted magnificently on the Berlin Wall. For a lighter attraction, you can take your kids to the Legoland Discovery Centre that displays two zoos and several child-oriented activities. Every destination abroad has rules and customs that you need to be aware of to avoid embarrassing yourself or getting into any hassle. In Berlin, never stroll on a bike lane even if there are no bicycles because if you walk past the red line, there’s a high probability that you’ll get hurt or yelled at. Flowers such as Lillies and Carnations are for funeral and signify mourning. So if you'd like to express your appreciation through flowers, send a rose or anything else aside from those two. And of course, and most likely the simplest one, follow basic traffic rules because jaywalking in Berlin can result in a huge fine.